The Bureau of Democracy, Human Rights and Labor leads U.S. efforts to promote democracy, to protect human rights and international religious freedom and to advance labor rights on a global level. The DRL also conducts human rights investigations, reports on country conditions, creates asylum profiles, votes in the United Nations and produces an annual report on human rights conditions for Congress. Along with conducting investigations, the DRL takes stands on current and past humanitarian abuses. For employment opportunities with the DRL please visit the US Department of State’s website and the U.S. Department of State careers website. The ICTY is located in The Hague, Netherlands and was established by Security Council Resolution 827 in May of 1993. The mission is to bring to justice persons allegedly responsible for violations of international humanitarian law, to render justice to victims, to deter further crimes and to contribute to the restoration of peace in the former Yugoslavia. It has authority to prosecute when grave breaches of the 1949 Geneva Convention occur, when countries violate the laws or customs of war, in cases of genocide and in crimes against humanity. For employment and internship information please visit the ICTY website. 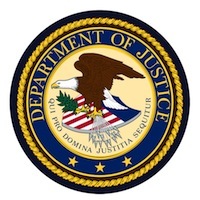 The Office of Special Investigations began as a special team to prevent former Nazi officials and concentration camp employees accused of serious human rights crimes from entering the United States. One of their most celebrated cases involved former guard John Demjanjuk who was deported in 2009 to face charges in Germany. The OSI merged with the Domestic Security Section in 2010 to create the HRSP, which is currently conducting research and deporting accused human rights abusers to countries where they will be prosecuted. For more information please visit the HRSP website. The High Commissioner for Human Rights is responsible for overseeing human rights issues for the United Nations. The position was created in 1993 by the Vienna Declaration and Programme of Action, and the current UN High Commissioner for Human Rights is South African Navi Pillay. The office offers leadership, works objectively, educates and takes action to empower individuals and assist States in upholding human rights. 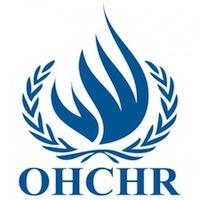 OHCHR headquarters are located in Geneva, Switzerland. For more information on current issues being addressed by the OHCHR, please visit the OHCHR website. 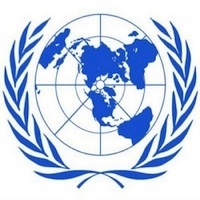 The Office of the United Nations High Commissioner for Refugees was created in 1950 by the United Nations General Assembly. It is primarily a humanitarian agency that strives to protect the rights of refugees and ensure them the right to seek asylum and safe refuge. Currently, the UNHCR has more than 570 sister organizations that it works with individually to solve refugee conflicts. Please visit the UNHCR website for information about employment and internship opportunities.